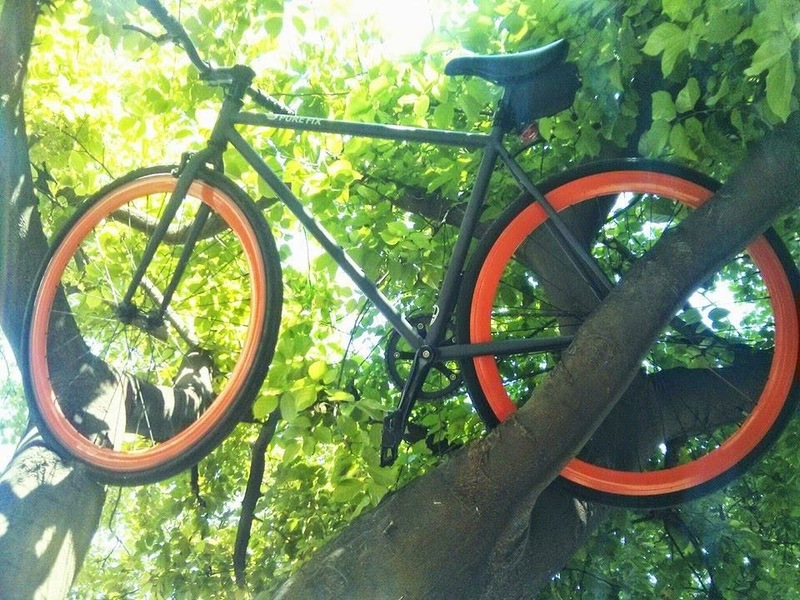 kadsur: "Climb the Tree before YOU could climb on the Bike"
After riding 80 kms in two days in a fixie mode in the peak hour traffic for the first time, when i was returning the bike to the original owner my good friend Archana (the girl who is surprising everyone in the biking world.....oops at least in this country!!). My feeling was exactly like this, as a kid i was forced to have a hair cut that was accompanied by my dad, that i just use to hate it (i wanted to grow my hair, that is me....). I know i would look ugly after each of the that hair cut. For days i was not keen on seeing the mirror again. I did not like myself then, had no choice but suffering in silence. That is exactly how i felt. I was losing part of me, that is not what i wanted to look or now to lose, no other go, i needed to part with it. 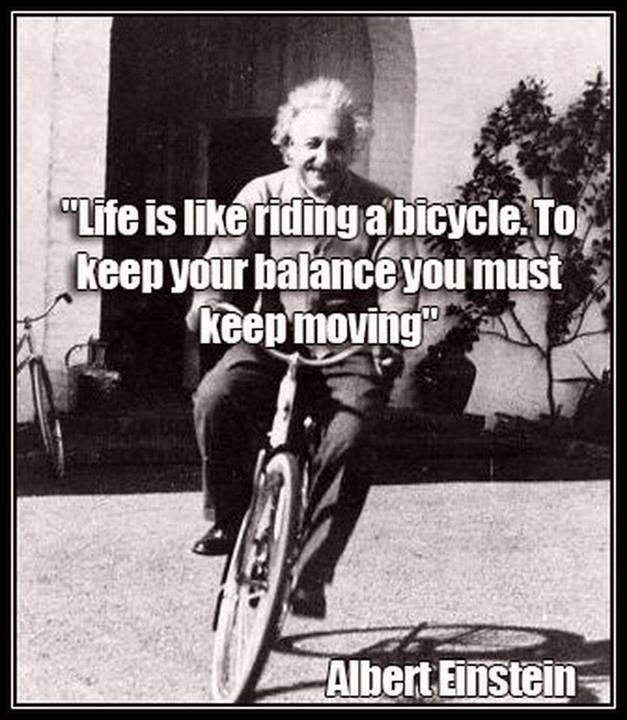 It takes lot of effort to pedal backward, moving forward is easy, so is with life. When you have to slow down need to pedal back and then pedal forward, that is like only when you have to do introspection look back pick up the lessons learnt hard way and move on. What makes riding a fixie makes all the more interesting for me is, it is like this......Riding regular bike is like doing gymnastics. The same exercise you do it as a Yogasana posture, there you are completely aware of what you are doing and think of the body parts that are involved. That is the the kind of awareness you got to bring in while riding a fixie. That was meditation for me. Sunday morning as i had a fall during commute ride, it was not easy decision to try a fixie on Tuesday morning that too considering that was my 3rd fall in last 3 months. I never wanted to live the life of FEAR - Forget Everything And Run, I wanted to experience this FEAR - Face Everything And Rejoice. Life should not be a journey to the grave with intention of arriving safely in a pretty and well preserved body, but rather to skid in broadside in a cloud of smoke, thoroughly used up, totally worn out, and loudly proclaiming "Wow! What a Ride!" Really....i agree, however it is too much fun to ride in fixed mode...need to pick up one asap. I wanted to do a long ride in that mode, could not happen, need to wait for some more time....thank you for reading and commenting. Hi Anil. Thanks for your insight on riding a fixie. Have never been on one before and was not even contemplating a trial. But I guess reading your post has made a difference. Appreciate your thoughts and emotions on riding It.. the bike which keeps you pedalling all the way. Thank you for reading the blog post, i feel you should ride one and experience for it yourself.